This impressive video shows the Shinmoedake volcano in Japan expelling huge clouds of smoke and ashes, which caused chaos at airports. 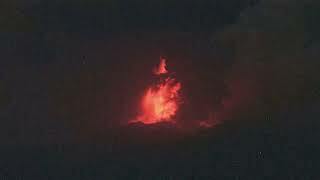 The volcano, which became famous after being featured in a James Bond movie, will stay active for some time. Entry to the 1,421-meter (4,660-foot) – high volcano was restricted. About 80 flights in and out of nearby Kagoshima airport were canceled. Japan, which sits on the Pacific “Ring of Fire,” has 110 active volcanoes and is prone to earthquakes and volcanic eruptions.